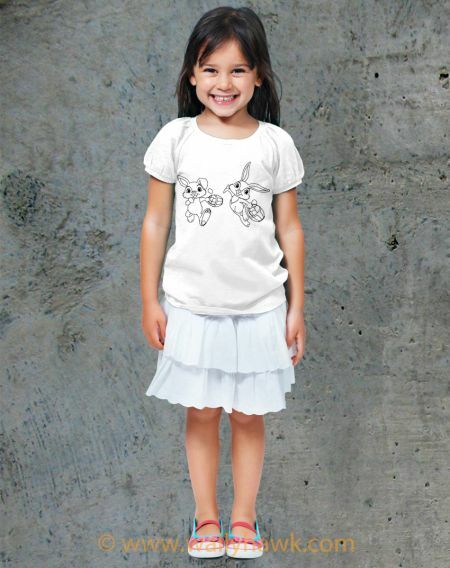 This adorable Bunnies Carrying Eggs design is created with high quality vinyl on a 100% cotton shirt. 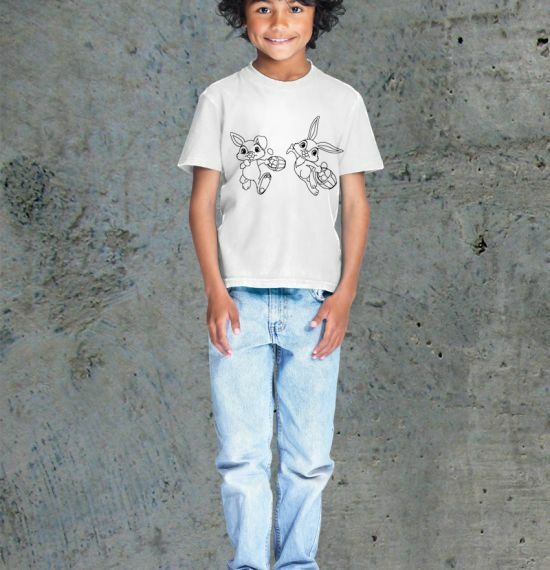 The line art gives perfect opportunity for your child to color the design themselves and then be able to wear their own art! Coloring Book Shirts are exactly what they sound like. 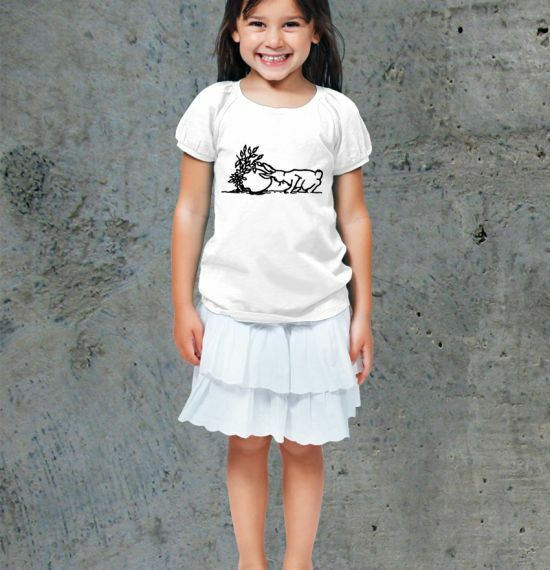 Fun Coloring Book images put onto high quality t-shirts so your child can be the artist! 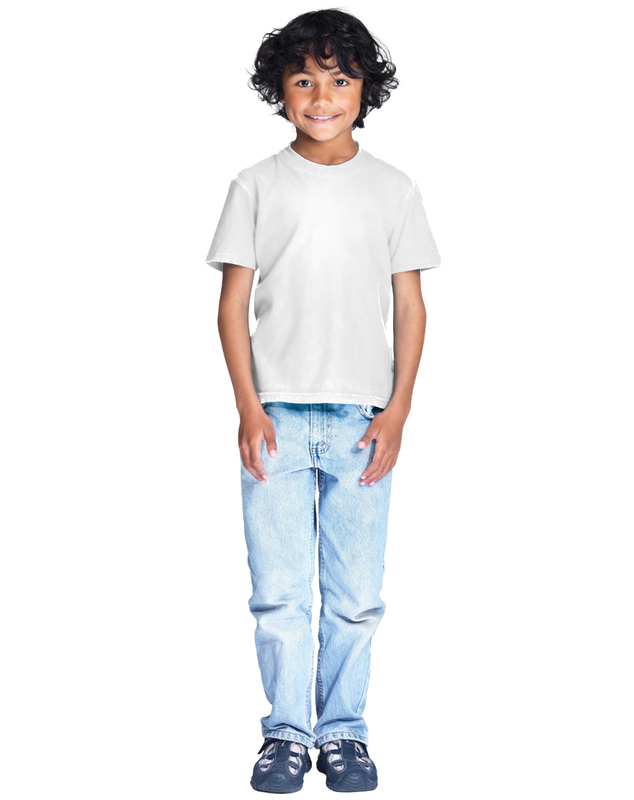 Every kid loves creating, every kid loves coloring, every kid should be proud to show off their work. 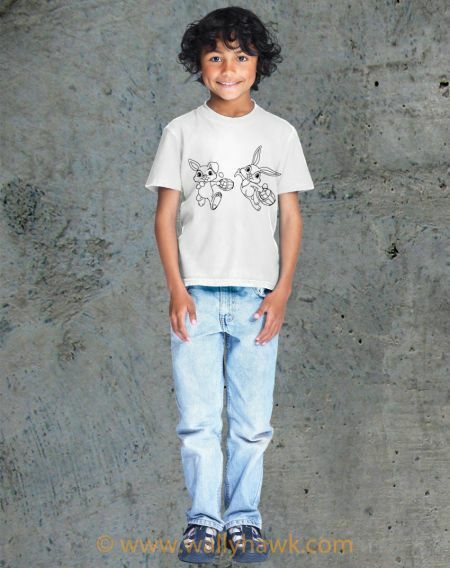 These Coloring Book Shirts allow your child to have that very experience and wear something they can be proud of! Having a birthday party? 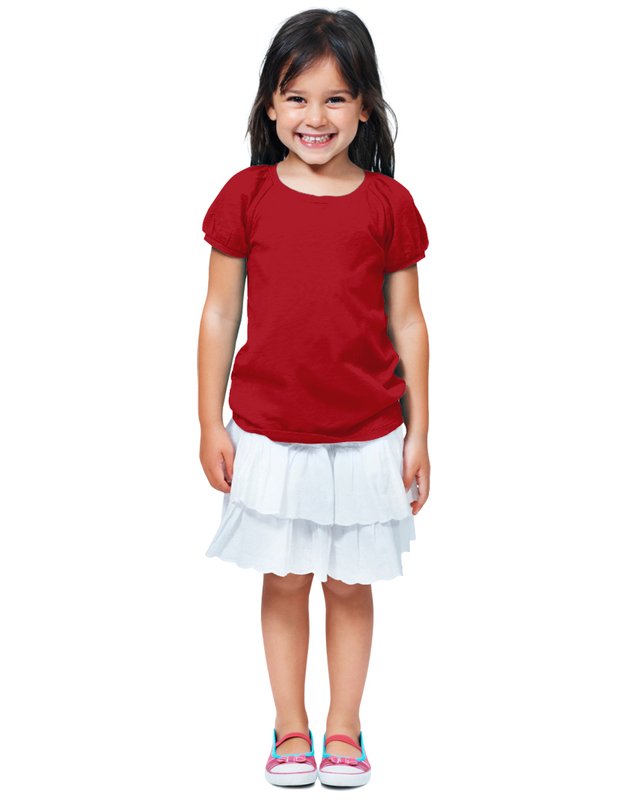 Coloring Book Shirts are a fantastic group activity. 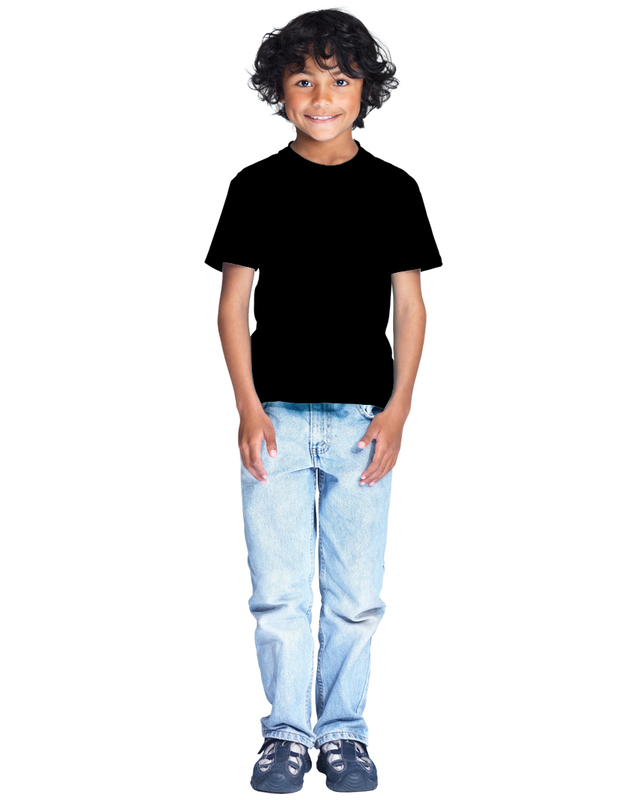 Contact us about bundle ordering! All Coloring Book items now have the option to come with an assorted pack of ten unique fabric markers for the low price of seven dollars! 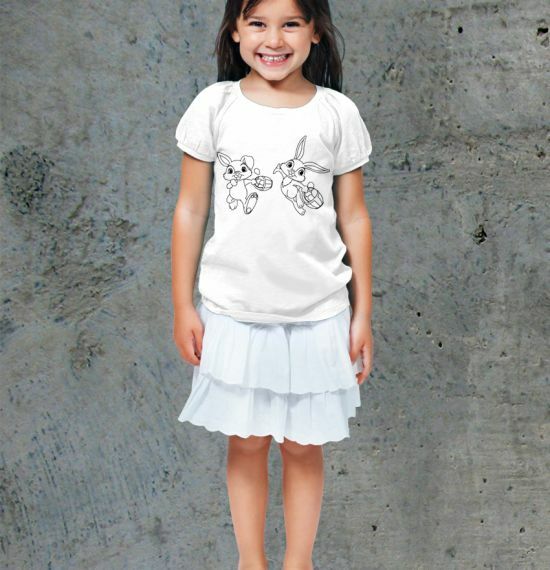 The Bunnies Carrying Eggs Youth Shirt is 100% ring spun combed cotton, rib set in collar, double needle hem sleeve & bottom. The design is done in pressed vinyl that never fades.